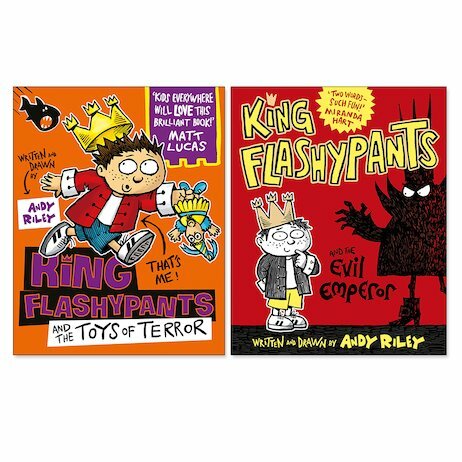 Laugh your pants off with a new king of funny fiction! King Edwin is one lucky kid. He has almost everything he wants. You know: a throne, and a suit of armour, and a castle with secret passages. Jealous yet? But he’s also got something he doesn’t want: a totally evil rival! Emperor Nurbison looks scary, in his pointy-collared black cloak. He even sounds scary, with his horrible marching band. How will King Edwin stop him from terrifying the peasants with his (very funny) evil plans? A right royal offer – two books for the price of one!